The subwoofer we had in our home cinema setup died a few weeks ago, so I did my research and found a nice replacement. The only thing I didn’t spot was the fact it never goes into standby if there’s no signal (unlike the old one). I tried using some eco plugs which turn off peripherals when the TV was turned off.. but it learns the TV remote signals, and completely turns the TV off as well.. meaning that you have to hit the power button twice to turn the TV back on; that doesn’t work well with the Harmony all-in-one remote we use. 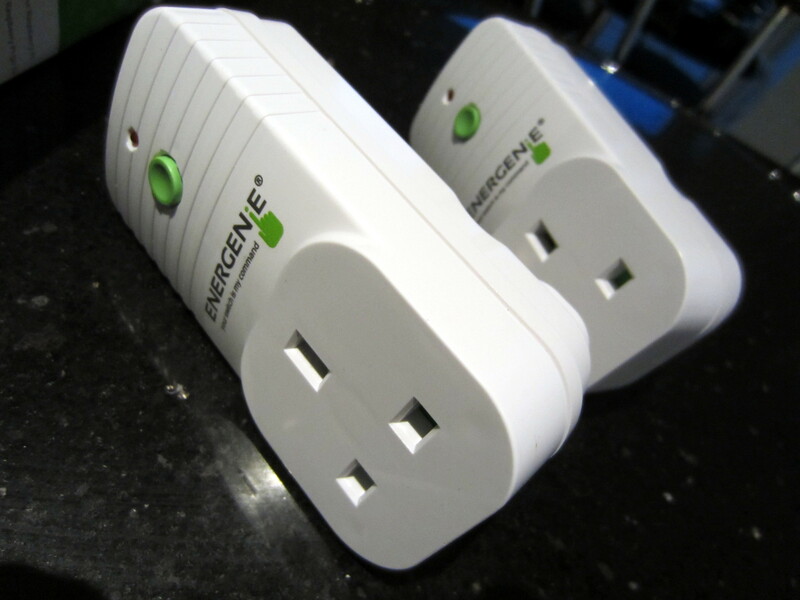 What I decided to do was buy an Energenie socket, which can be switched on/off wirelessly from a Raspberry Pi. 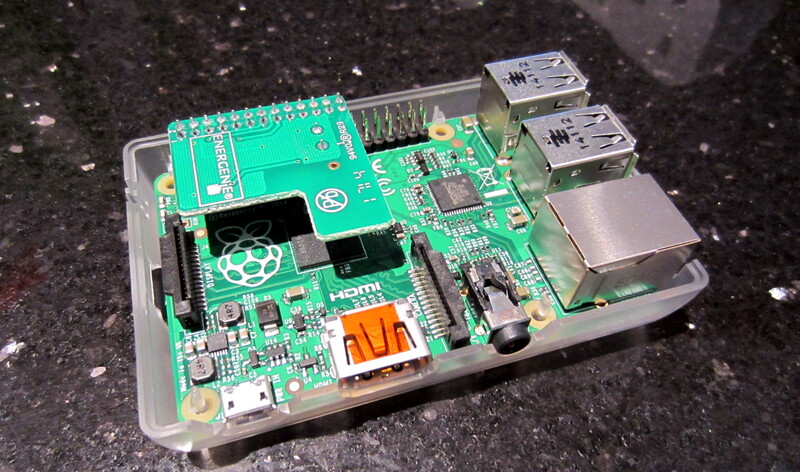 The kit comes with 2 sockets and a transmitter to attach to the GPIO headers on the Pi, and costs about £20. In my subwoofer scenario I basically want it switched on when the TV is on, and off when the TV is off. The TV has a Chromecast plugged into it which is visible on my local network. If you’ve got a Smart TV on your network, maybe that’ll be visible in the same way. So when the TV/Chromecast appear on the network, we know to switch on the power socket. Here’s the small Energenie transmitter attached to the GPIO headers on my B+.. it’s pretty tiny and the case I’ve got still fits over the top. Notice the small hole where you can attach an aerial.. if you want extra range, then you’ll need to solder one on.. I added a 135mm wire, since the range I got out of it just wasn’t enough to get from the dining room cupboard to the living room. All we need is a new PHP page that’ll call one of the functions we’ve already written.. we need a list of the MAC addresses that are currently visible on the network, then check whether the Chromecast is there. Once we know whether the TV/Chromecast is on or off, we then call a Python script that will turn the Energenie socket on/off.